Bryce Harper hit a grand slam for his 100th career homer, while Wilson Ramos also went deep to support Stephen Strasburg as the Nationals defeated the winless Braves, 6-2, at Nationals Park on Thursday afternoon. Washington swept the four-game series and improved to 7-1. "I just saw the ball go over the fence," Nationals manager Dusty Baker said of Harper's first career slam, which Statcast™ tracked at 425 feet. "He was happy, we were happy to get that four-run lead. I didn't know that was his first slam. I knew that was his 100th home run. We were just happy to take the lead at that time because [Atlanta starter Julio] Teheran was dealing." The Braves joined the Twins as the first teams to start a season 0-9 since the 2003 Tigers. "I would bet out of everybody in here, nobody has been in this situation," Braves utility manKelly Johnson said. "It's uncharted territory. It's not something you plan for or think about too much. But now that you're here, you're going to want to get the first win and have something to celebrate." Strasburg pitched 7 2/3 innings, allowing two runs on four hits and striking out seven in his second victory of 2016. Teheran surrendered six runs over seven innings, including homers by Harper and Ramos. The Braves gave Teheran a 1-0 lead in the third as Nick Markakis singled to left field, scoring Jace Peterson. But it was all Nationals after that. In the bottom of the third, Washington had the bases loaded with two outs when Harper hit a 1-0 pitch over the right-field wall for a 4-1 lead. Ramos made it 5-1 an inning later, when he homered to left-center, a blast tracked by Statcast™ at 451 feet. In the sixth, Ramos drove in his second run, lacing a double that sentDaniel Murphy home. "It was awesome. 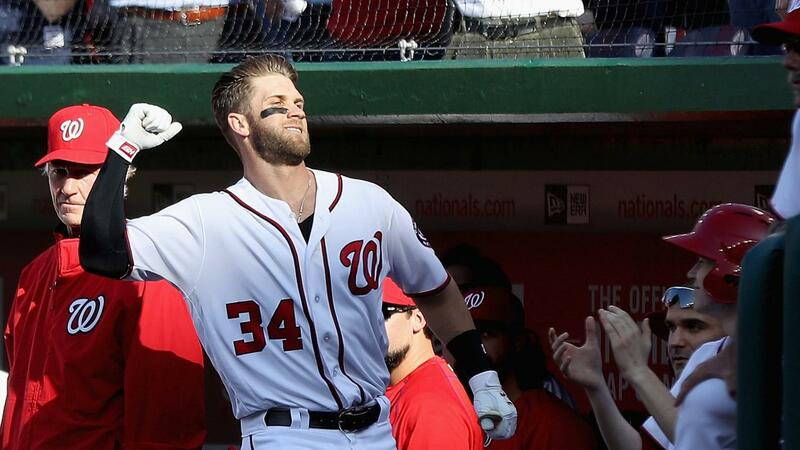 It was my mom's birthday, so I was able to hit her a homer," Harper said. "Today was definitely huge. I love these fans, I love this organization. It's a thrill to do it in front of the home crowd. I was glad I was able to do it here." Strasburg strong enough to win: Baker said it wasn't until minutes before meeting the media that he realized that Strasburg was ready to pitch. He had been dealing with the flu for several days. After the first inning, Baker felt Strasburg looked out of it. Ramos swinging hot bat: In three of the four games against the Braves, Ramos went 7-for-10 with a homer and four RBIs. Ramos is hitting .407 this season. "We've been working a lot in the cage with [hitting coach] Rick Schu," Ramos said. "I have been doing a couple of drills, concentrating, getting a pitch to hit, especially with two outs and runners in scoring position. I'm trying to bring runs in, concentrating on hitting the ball up the middle, getting good pitches to hit. That helps me to bring runs in. I'm very excited right now. I guess I'm feeling great at the plate." Teheran's costly leadoff walk: Teheran retired eight of the nine batters he had faced before he got ahead of Matt den Dekker with a 1-2 count before beginning the bottom of the third with a leadoff walk. Chris Heisey and Anthony Rendon notched consecutive two-out singles to extend the inning long enough for Harper to drill his grand slam. Harper has batted .429 (12-for-28) and totaled five homers in his career against Teheran . "That to me was the biggest plate appearance of the game," Braves manager Fredi Gonzalez said of the leadoff walk. "We had scored one run against a tough opponent [Strasburg]. Nothing against den Dekker, but den Dekker is not Harper and we end up walking him. That set up that situation. We had nowhere to put [Harper] and threw the ball and it came back over the middle of the plate." Markakis stays hot: Markakis added an eighth-inning RBI double off Felipe Rivero and accounted for the only two runs tallied by the Braves, who had started this series in promising fashion. Markakis notched a two-run double before Max Scherzer notched the first out of Monday's series opener, and Atlanta tallied two more runs in the second. But the visitors totaled just three runs over the series' final 34 innings. The Nationals have won 14 straight over the Braves at Nationals Park. 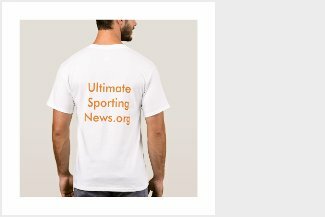 According to the Elias Sports Bureau, the streak is the longest home winning streak over an opponent in Nationals history. Teheran has allowed two home runs in 10 of his past 34 starts. He allowed two homers in seven of his 62 starts from April 23, 2013-April 11, 2015. Braves: Williams Perez will take the mound when the Braves open a three-game series at Marlins Park on Friday at 7:05 p.m. ET. Perez lasted just 4 2/3 innings during Sunday's season debut against the Cardinals. Atlanta will try to avoid starting 0-10 for the first time since 1988. Nationals: The Nationals travel to Philadelphia to open a three-game series against the Phillies on Friday at 7:05 p.m. ET. Right-hander Joe Ross, who was solid in a 4-2 victory over the Marlins in his last start, will get the nod. After allowing a run in the first inning, Ross settled down to retire 10 of the next 11 batters. He allowed just the one run on five hits in seven innings with five strikeouts.